We have all heard this sound advice from the world’s greatest minds. “Change your thoughts and you change your world.” ~Norman Vincent Peale “If you correct your mind, the rest of your life will fall into place.” Lao Tzu. Great advice, but easier said than done. Unless that is, you understand and APPLY the Five Principles of Prosperity. 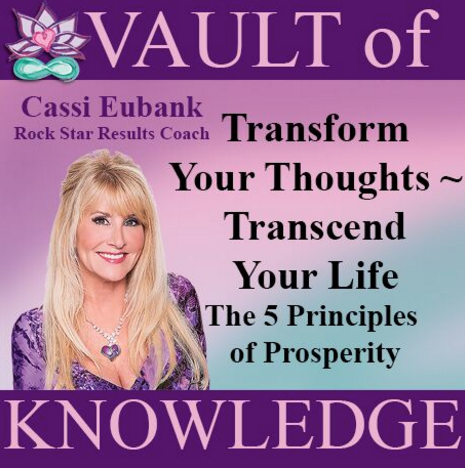 Allow these proven principles guide you, and you will transcend yourself and your life.